THE beginning of the year is traditionally a time when many consumers look to live healthier. But this doesn’t mean they have to cut out beer, according to the firm behind Skinny Lager, the low-calorie beer which was launched in 2017. 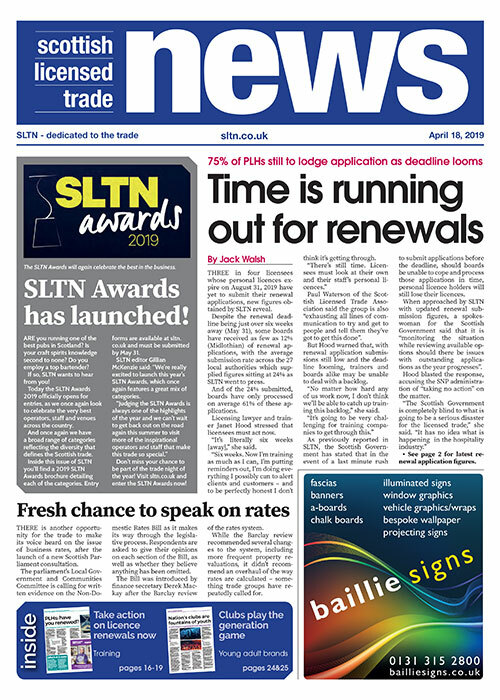 As more and more switch to new stricter diets in the new year, the lager’s producer, Skinny Brands, said that despite health resolutions, such as going to the gym and eating their five a day, consumers shouldn’t have to swear off beer in an attempt to reduce the number of calories they consume. Resolutions shouldn’t involve compromising all the things you love in moderation. In addition to containing fewer calories than average lager, 89 per 330ml, the 4% ABV and 0% fat beer is suitable for vegans and those on gluten-free diets as well as being kosher certified. Tom Bell, founder and director of Skinny Brands, said: “Setting realistic resolutions can be a really positive start to the new year. “However, it shouldn’t involve compromising all the things you love in moderation. Pair Skinny Lager with low-calorie food options; offer health conscious customers a choice of a healthy meal or snack with a bottle of Skinny. Add Skinny to gluten-free and vegan menus; make sure your customers know the product meets their dietary needs so they don’t miss out as the chances are they don’t know already. Suggest Skinny as a guilt-free option; many customers have new year’s resolutions to be healthier in 2019, make them aware that Skinny is a low-calorie alternative to full-fat lager. 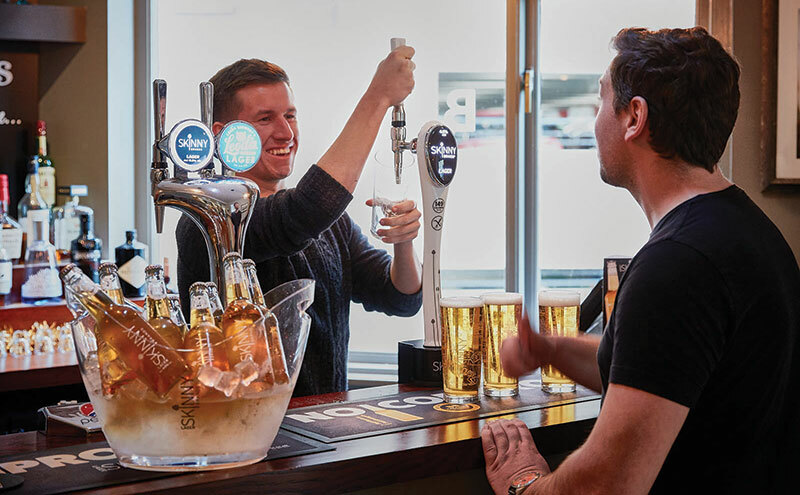 Use appropriate point of sale materials and a bar display; make sure your customers know that you sell Skinny Lager with an appealing bar display with posters and beer mats advertising the brand.